In the US we can have Hurricanes hit in the west in Hawaii, in the south and southeast and up along the east coast. During a storm watch, you really don’t know exactly when, where or if it will hit your home. Here are reminders that will help you take care of some of the things that you can do now to be ready if you live in a Hurricane belt. 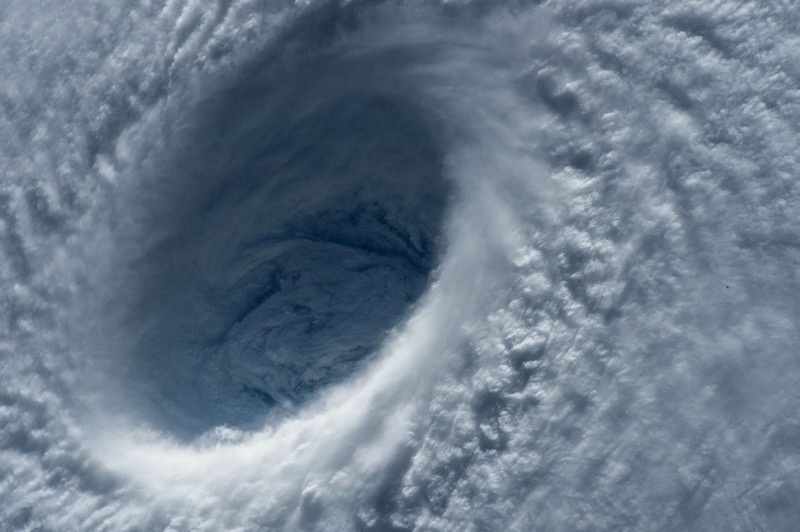 Finding supplies once a Hurricane warning has been announced can be very difficult. There are always people who are caught off guard or wait until the last moment to get what they need and then the items fly off the shelves in the stores and disappear faster than they can be replaced. This is especially true in remote areas where goods need to be shipped or freighted in from long distances. Large cities may also experience this just because the population is larger than the capacity of the store shelves. Take a little time to map out your neighborhood and the roads in and out of it. Set up a tentative evacuation plan with more than one exit route. Timing of an evacuation is critical, don’t wait too long and get caught in a traffic jam. Set up accommodations with friends and family who live outside the danger areas. Do this in advance at the beginning of Hurricane season and plan to prepare and leave your house earlier instead of later. Keep your cars full of gas during Hurricane watches. Gas stations may have long lines or run out of gas if you wait too long. Drinking water is one of the most important things to have on hand in any emergency. The power may go off, the city water may be turned off or be contaminated, roads may be blocked or it may just be too dangerous to go outside for a period of time. It is recommended that you have a 3 day supply of water, 1 gallon per person. This gives you at least ½ gal per person per day for drinking and ½ gal for personal hygiene. If you have a family of 4 that means you need to have 12 gallons of bottled water on hand at all times. Using purchased bottled water that has not been open is best and can be rotated with your current water use to keep it fresh. Food that is not perishable and can be quickly transported should be purchased and put aside in a cool dark place. Canned foods such as tuna, beans, fruits, and vegetables can be eaten from the can without cooking and provide fluids too. MRE meals are lightweight and are good for a short period of time or for a hasty retreat but remember that they should be eaten warm as these type of food taste much better when warm-up. You can try XMRE, Blue Line products are designed for the disaster situation. First Aid Kits are available at most stores which are already made up for homes or cars. Get one of the larger kits if you are in a Hurricane area. You should be able to get a First Aid Manual from your local red cross. Emergency preparedness manuals are available from the FEMA site. Have copies of important documents stored with trusted family members or safe deposit boxes. Repack your storage items in good waterproof containers instead of cardboard boxes. Pack up treasured items to keep them safe. Duct tape, tarps and plywood are useful items to have on hand to protect your glass windows. Purchase and prepare all the supplies that are needed to secure your home if you have to evacuate and to protect it from high winds and water. Have large trees trimmed properly around your house before Hurricane season. Outdoor furniture, BBQ grills and garden equipment will all need a safe storage space or a way to tie them down during high winds so think about where you will put them. A good handy supply of candles, matches, lanterns, flashlights and batteries is essential during any storm that might lead to power outages. Now days so many people have quit smoking that sometimes we don’t even think about the need for matches. If you own pets have good pet carriers to keep them in during the storm and to transport them quickly, if needed. Look into and set up places for boarding of large animals out of danger and plan to take them early to these places just to be on the safe side.